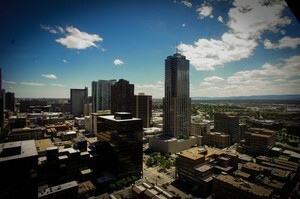 Downtown Denver is the thriving heart of the city. Often referred to as the Central Business District or CBD, this is where you will find the tall downtown skyscrapers that house over 40 million SF of office space along with retail that features seemingly unlimited shopping and entertainment. Downtown Denver is also where you will find some of the 16th Street Mall, Larimer Square, The Denver Performing Arts Complex and the Denver Convention Center. Downtown is also home to some of the finest hotel accommodations the city has to offer, The Brown Palace, Four Seasons and Oxford Hotel to name a few. Bucking the traditional trends of moving out into the suburbs, more people are now finding excellent homes and residences in the interior of the city. The downtown neighborhood of Denver offers plenty of advantages for those who work in the city and want to be close to the many different attractions. 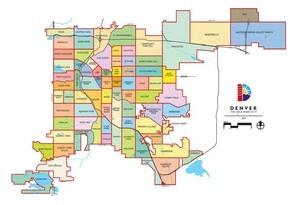 There are basically eight districts in downtown Denver that include central and upper downtown, Ball Park, Civic Center, Arapahoe Square, Riverfront Park, LoDo, and Union Station. Each of these districts has their own unique characteristics, making them highly attractive for those who work downtown or want to be close to the many attractions and things to do. Living in the downtown Denver area has its advantages, especially for those who work downtown. 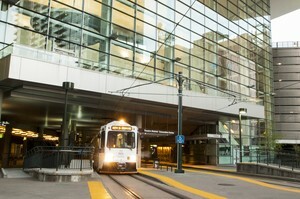 The easy access to public transportation, particularly the Light Rail system makes it simple for those to travel around the heart of the city. Furthermore, the emphasis on renewing older neighborhoods and building new establishments means that the downtown area is vibrant and alive. LoDo or the “lower downtown” area of Denver is the oldest part of the city and represents the location of the original settlement. Many of the older buildings and the unique architecture have served as backgrounds for many Hollywood movies as well as TV series. The views of the Rocky Mountains from LoDo are still quite stunning. There are over 70 restaurants and bars located in LoDo which is also close to two major sporting venues as well. For those who enjoy much of what downtown Denver has to offer, LoDo is certainly one of the most attractive neighborhoods in the city. As the name suggest, the Ballpark location in downtown Denver encompasses Coors Field, the home of the Colorado Rockies. Incorporated within the boundaries of the larger Curtis Park neighborhood, the Ballpark area features a heady mix of the urban industrial feel alongside modern conveniences. the unique mix of modern lofts and condominiums, art galleries, shopping areas and atmosphere make it the perfect place to live. A planned community in the heart of the city, Riverfront Park offers a unique, modern vision to the traditional downtown environment. The family friendly neighborhood in downtown Denver features a number of places where people get together, a large park where pets are allowed and new attractions as well. Located near Union Station, the Riverfront Park area is close to many shopping centers, restaurants, museums and annual art festivals. Because the vaunted Light Rail system runs through the Riverfront Park area, accessing the important locations of Denver becomes even easier to accomplish.